You are currently browsing the tag archive for the ‘police planting evidence’ tag. Body Camera Video Allegedly Shows Baltimore Police ‘Plant’ Drugs: MAKE THEM ALL WEAR BODY CAMS! Body camera video produced Wednesday appears to show a Baltimore police officer plant drugs in late January, an act that later resulted in a criminal arrest. 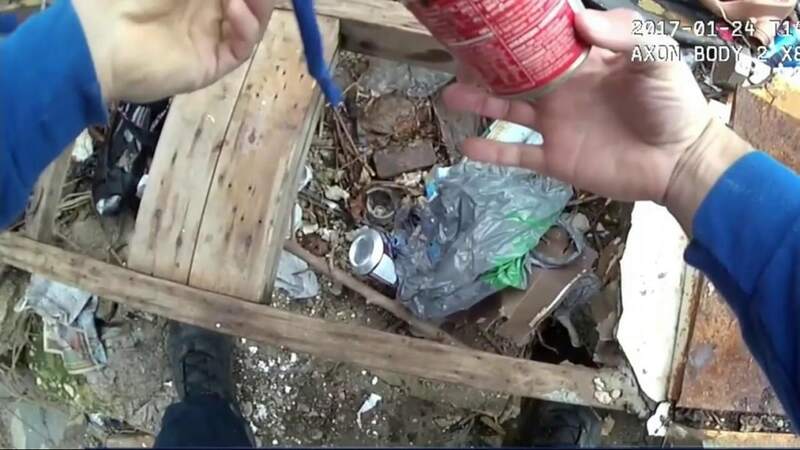 The 90-second Baltimore police body camera video, which was made public by the Maryland Office of the Public Defender, belongs to Officer Richard Pinheiro, who appears to hide and later “find” drugs among trash strewn on a plot next to a Baltimore residence. Two other officers appear to be with the Pinheiro as he hides the drugs. “I’m gonna go check here,” Pinheiro announces in the video from a morning in late January. 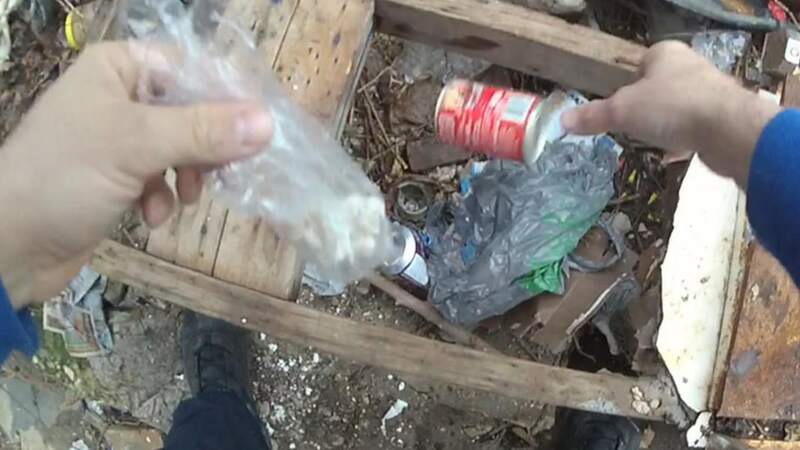 He then picks up a can in which he placed a plastic bag of pills earlier in the video and retrieves them. One of the officers has been suspended, and two others have been placed on “nonpublic contact” administrative duty, Davis told reporters. Police said the Office of Professional Responsibility Ethics Section was investigating. Pinheiro is a witness in about 53 active cases, and he was even called to testify in a case earlier this week, the Public Defender’s Office said. The new video has led to that case’s dismissal after an assistant public defender forwarded it to the Baltimore City State’s Attorney’s Office, according to the Public Defender’s Office. Melba Saunders, a spokeswoman for the Baltimore City State’s Attorney’s Office, said the prosecutor took “immediate and appropriate actions” and dropped the case against the man who was charged. “Currently, this case is under investigation and has been referred to internal affairs of the Baltimore Police Department,” she added. Debbie Katz Levi, head of the Baltimore Public Defender’s Special Litigation Section, said that Baltimore police have long had a problem with officer misconduct but that the city does not hold individuals accountable. “We have long supported the use of police body cameras to help identify police misconduct, but such footage is meaningless if prosecutors continue to rely on these officers, especially if they do so without disclosing their bad acts,” Levi said. Police played four other videos for the media on Wednesday afternoon to provide additional context. In the first two videos, officers procure two gel capsules of heroin. The third video has officers approaching the alleged seller of the heroin and shows them arresting the man on whom they found marijuana and a gel capsule of heroin, police said. In the fourth video, officers undertake an extensive search of a yard identified by the dealer for more drugs. Police said they recovered a plastic bag with 25 gel capsules of heroin. Davis and Deputy Police Commissioner Jason Johnson suggested that it implied that they were re-enacting the recovery of drugs for the body camera — which is also inappropriate, Davis said. “The release of [this body camera video] tells me and hopefully [the public] that there was a little more to this,” Davis told reporters. Johnson and Davis told reporters that there was a four- to five-minute gap in the video. Davis said the department would get to the bottom of the matter because he fears the effect it would have on the community.